The term breach stands for an act of breaking – in terms of code or law or conduct. However, breach can also mean to make a gap in and break through – exactly what ourselves and the magazine intends to succeed in. 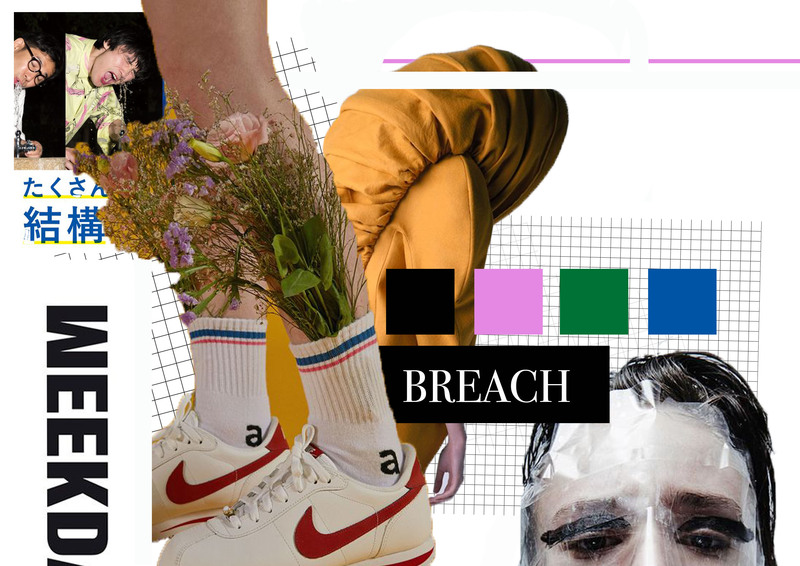 The mood board visually describes the magazine in the early stages of development, initiating its predictions for the content, such as unconventional objects supplied to the body or in ways of styling leading to the futuristic, nonconservative clothing ideas. It supplies a basic colour swatch – but the specific shades could vary of course and even a prioritised brand we intend to promote.. Weekday.